Graduated in 1989 with a Juris Doctor degree from Hofstra University School of Law. Mark’s undergraduate Bachelor’s Degree in Public Justice was earned from The State University of New York in Oswego, NY. For more than 20 years, Mark has litigated and settled many of the firm’s major motor vehicle and complex construction site accident cases, as well as all other types of serious injury and wrongful death cases. Mark has an extensive and diverse experience in pre-trial case preparation, depositions, mediation / arbitration, and trial preparation. He takes pride in carefully preparing each case as is if will go to trial, which typically results in a successful settlement for his clients. Mark has performed jury selections and trials in Suffolk, Nassau, Queens, Bronx, Brooklyn and Manhattan. He has conducted nearly 1,000 depositions in accident-injury actions and has mediated and negotiated hundreds of six and seven figure settlements. Mark is the Managing Partner of the firm and is responsible for the day-to-day operations, Court and Trial calendar,attorney mentoring and the handling of serious and complex accident cases from inception through trial. MEMBERSHIPS: New York State Bar Association, as well as theNew York State Trial Lawyer’s Association. For more than 20 years, Mark has litigated and settled many of the firm’s major motor vehicle and complex construction site accident cases, as well as all other types of serious injury and wrongful death cases. Mark has extensive and diverse experience in pre-trial case preparation, depositions, mediation /arbitration, and trial preparation. He takes pride in carefully preparing each case as if it will go to trial, which typically results in a successful settlement for his clients. 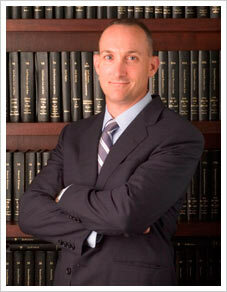 Mark has performed jury selections and trials in Suffolk, Nassau, Queens, Bronx, Brooklyn and Manhattan. He has conducted nearly 1,000 depositions in accident-injury actions and has mediated and negotiated hundreds of six and seven figure settlements. Mark is the Managing Partner of the firm and is responsible for the day-to-day operations, Court and Trial calendar, attorney mentoring and the handling of serious and complex accident cases from inception through trial. Mark graduated with his J.D. degree from Hofstra University School of Law in 1989. Mark’s undergraduate Bachelor’s Degree in Public Justice was earned from The State University of New York in Oswego. While attending college and law school, Mark interned for the Manhattan District Attorney’s office as well as the Rockland County Public Defender’s office. Mark is admitted to practice in NY, NJ and FL, as well as in a number of Federal courts. Mark’s professional associations include active membership in the New York State Bar Association- Torts, Insurance and Compensation Law section, and the New York State Trial Lawyer’s Association.